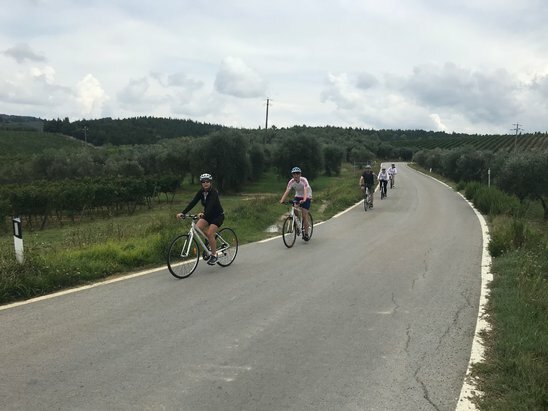 Thank you again for a super day biking in Tuscany....everyone is happily talking about it as we relax and share a glass of vino! Thanks also to Leonardo and Graham......adding a fellow countryman to the group was very thoughtful! 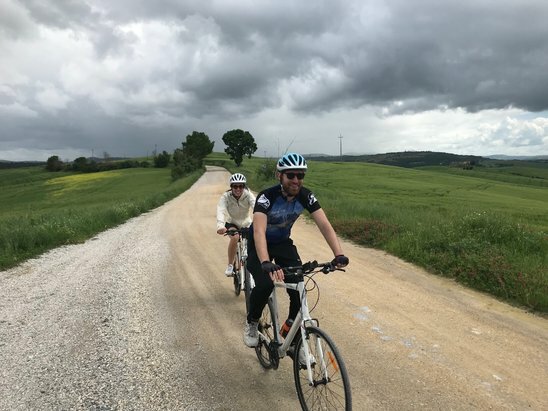 Pauline and I were so happy with our biking experience and we wanted to thank you so much. We had a great vacation and saw much of Italy but the biking experience remains the pinnacle of our trip. I couldn't have asked for anything more! Thanks to Marco, Pauline is now known as "Pauline the Machine" with everyone we shared our stories with. From "short & sweet" to "not-so short & not-so sweet", we laugh every time we talk about biking the hills with Marco. If ever you guys decide to come to Toronto, you better look us up. Dinner and wine on me! PS. Please send Marco's recipe for pasta Bolognese and any pics you can share. 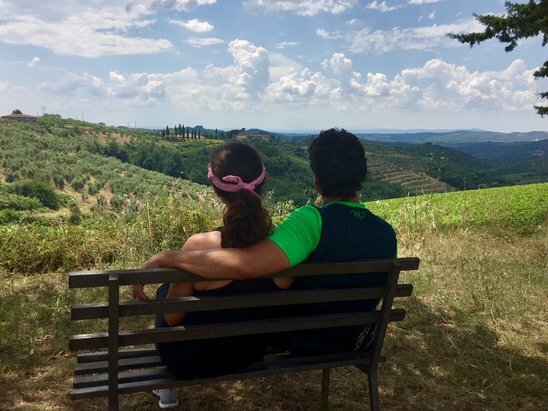 I'm not sure if you remember us, but my husband and I did your downhill to San Gimignano tour a little over a month ago. I just wanted to thank you again for an absolutely amazing experience. 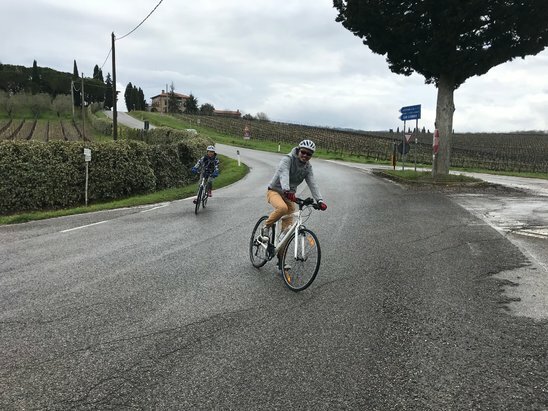 We visited multiple cities and did several wonderful tours during our stay in Italy, but the bike tour was by far the best and the highlight of our entire trip. Thank you so much for being so warm and friendly and sharing so much knowledge of Florence and Tuscany with us. My husband and I are already discussing when we can go back to do the bike tour in the autumn as you suggested! Thank you again for all you did to make that such a memorable experience for us. A huge thankyou to you and Jodie for a fabulous day on Tuesday for our family. Thoroughly enjoyed by all of us. Appreciate your care and attention of us all day to ensure we had the “best day”. Happy memories in Tuscany!!! Kind regards The O’meeghan family. Marco and Chris, Thank you again for a really wonderful day! The tour was everything we hoped for. Such a treat to see the countryside that way, and you were such great hosts! I just wanted you to know the day we spent with you was a highlight of our trip. We were so pleased to have you guide us - you gave us confidence and a wonderful experience. Thank you.